How much water do you waste if you leave the water on while brushing your teeth? 5 Gallons? What no way! 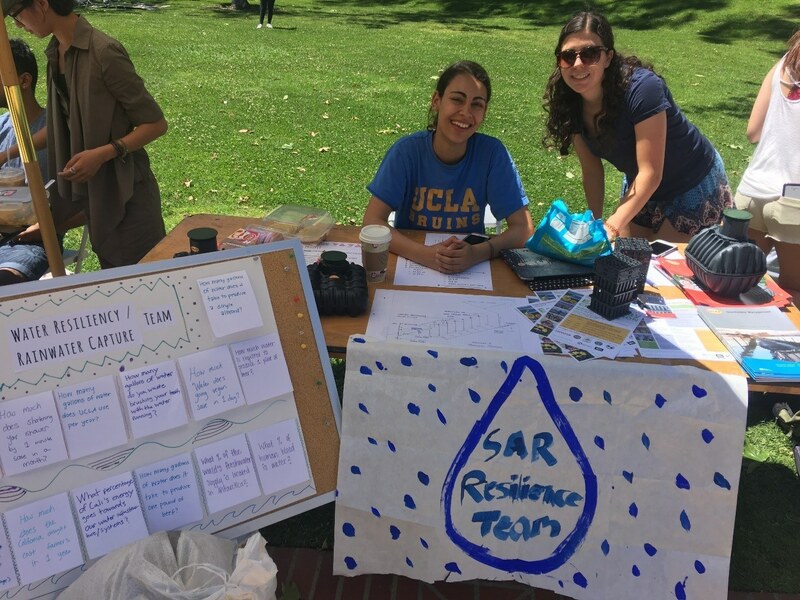 This week the Resilience team has been very busy approving funds with Tom Lukas for water cisterns, applying for TGIF and also preparing for the Earth Day Fair at UCLA. The Resilience table at the Earth day fair was very informational and interactive. Participants learned more about the usage of one of the most important resource on Earth via very interesting questions and answers. Participants were also encouraged to guess their own water usage and get an estimate by taking an online Water Footprint Survey. Along with informing the public about water use, Resilience also shared about their work for the past quarters and was able to showcase their design plans and RainHarvest Systems models. Hopefully these activities were able to inspire participants to conserve water in unnecessary areas and establish more rainwater capture systems.